Sure, we’ve had our fair share of chuckles at the expense of Ferrari Challenge, as there can be a huge disparity between the fast front of the field and those with more cash than talent. The series’ car has always been incredible, though, and luckily, the new one follows the theme of being jaw-droppingly gorgeous. The full details on the new Ferrari 488 Challenge car drop later this weekend, per Ferrari’s schedule of events, but in the meantime, let’s enjoy a few of the photos coming out of the new car from the Finali Mondiali race weekend at Daytona International Speedway. Please don’t bork the new car. Look at it. It’s too pretty. It’s fresh, new and modern, so it should be safe if you do, but I’d rather you not. I’m a really big fan of the giant air scoop carved into the side of the car that leads into an air intake for its mid-mounted, turbocharged V8. I’m also quite fond of its big wing and the little canards up front. 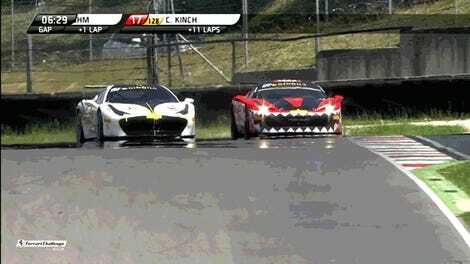 Don’t deposit these beautifully designed pieces of bodywork around the track, man. Don’t do it! This car will replace the outgoing 458 Challenge car in the three one-make Ferrari Challenge series for 2017. 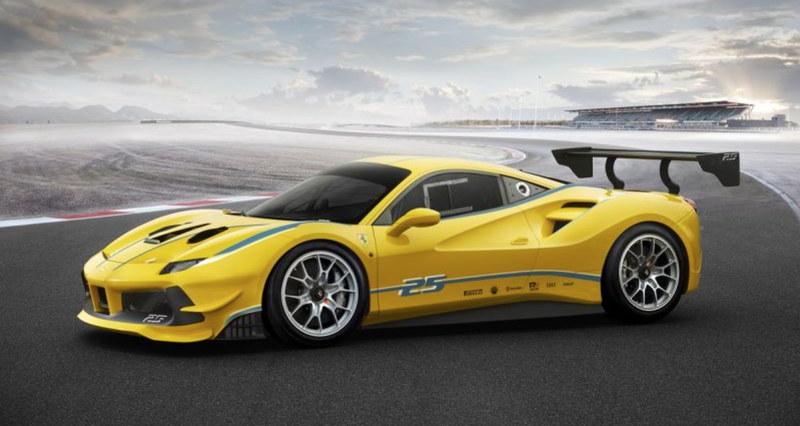 Next year will be the Ferrari Challenge series’ 25th year, but the 488 Challenge will be its first-ever turbocharged car. The car was designed to have better drivability and aerodynamics than the outgoing 458 Challenge EVO, which hopefully means it’s more amateur-with-boat-loads-of-cash-friendly, too. While I love the shriekingly loud naturally aspirated V8s in the 458, quiet isn’t all bad. I seem to recall an already-missed Le Mans-dominating team who described noise as wasted energy. Just put that energy down to the track and not into a gravel pit.